On Thursday, Kemal Kilicdaroglu, leader of the main opposition Republican People’s Party (CHP), criticized the discourse used by Erdogan’s ruling Justice and Development Party (AKP) and its allies during an election campaign, due to its “polarizing” effect. “[To AKP and its allies] Half of the country are terrorists. Grocers are terrorists. Salesmen in the bazaars are terrorists. Everyone who does not vote in favor of them is a terrorist. 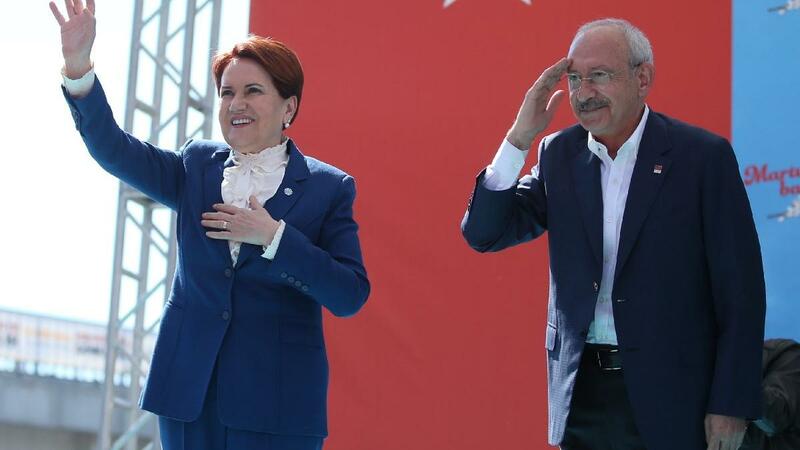 That approach polarizes the society that we condemn and reject,” Kilicdaroglu said during the joint election rally with Good Party (IYI) in the western province of Izmit. Erdogan’s harsh rhetoric is regarded by his critics as a bid to consolidate his base who are sensitive to terror-related issues and to religious symbols like Adhan. Ahead of the 31 March local elections, Erdogan has repeatedly accused opposition parties and dissidents of being pro-terror. To run in the upcoming elections, the Nation Alliance was formed between opposition parties, CHP and IYI, while the People’s Alliance was formed between the ruling AKP, Nationalist Movement Party (MHP) and Great Union Party (BBP). MHP leader, Bahceli, and later his election ally, Erdogan, have both used the defamatory statement, “alliance of dishonor” to denounce the Nation Alliance. Erdogan further blamed the Nation Alliance for being supported by terrorist groups. He has taken his claim a step further by alleging Abdullah Ocalan, the imprisoned leader of the outlawed Kurdistan Worker’s Party (PKK), is the leader of the alliance. PKK is a rebellious group that has waged an almost four-decade-long insurgency in the predominantly Kurdish southeastern part of Turkey and is listed as a terrorist organization by Turkey and some of its Western allies. The president had formerly blamed markets for the rise in food prices and caused turmoil for what he called “food terrorism” in early February. “They have begun to play games in Turkey. The prices have begun to escalate. This is terrorism,” he said. Voicing a self-proclaimed statement, Erdogan also accused protestors celebrating Women’s Day in Istanbul of catcalling the Adhan, the Islamic call to prayer, by claiming an organization between women marchers and opposition parties. “Who is behind those who booed, whistled and chanted rudely? They are CHP. They are Peoples’ Democratic Party (HDP). They are all together,” Erdogan argued. “We do not respect those who do not respect our Adhan and our flag,” he added. The Nationalist leader explained why the upcoming elections were a matter of existence. “If we unite, they can’t invade the nation as they couldn’t in Gallipoli. If we embrace the People’s Alliance, they can’t demolish the Republic,” said Bahceli, referring the Gallipoli Campaign of 1915-16 during World War I. The Battle of Gallipoli was an unsuccessful attempt by the Allied Powers – French, British, Australia, and New Zealand – against Ottoman Empire, then Turkey, to control the sea route from Europe to Russia.